One of the major problems that app marketers face is retaining users. Only 10%-12% of users remain active after 7 days and only 4%-5% of users after 30 days. The major pillar for growth of mobile apps is retaining users, so once this problem is solved, your CPI, LTV and In-app purchases improves. 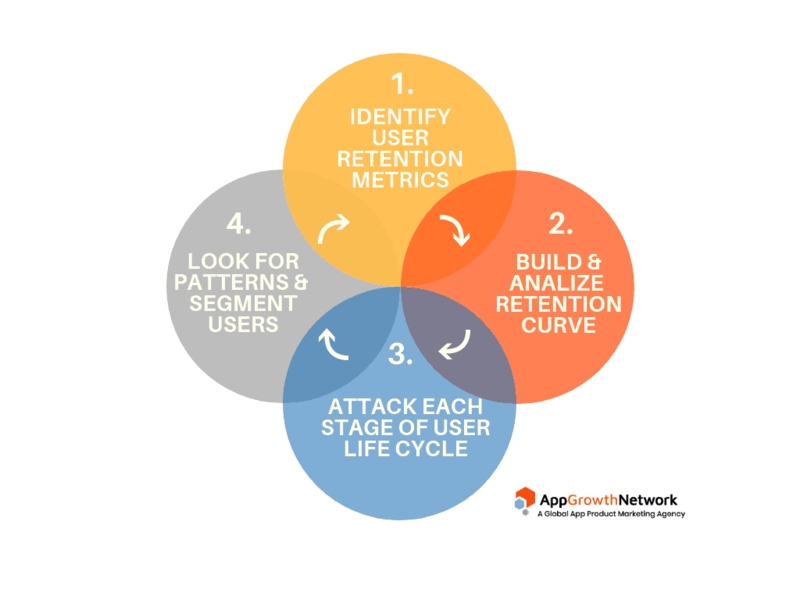 App Growth Network leverages these key processes to up scale mobile apps. As each product is different, the user behaviour is unique for each objective and category. 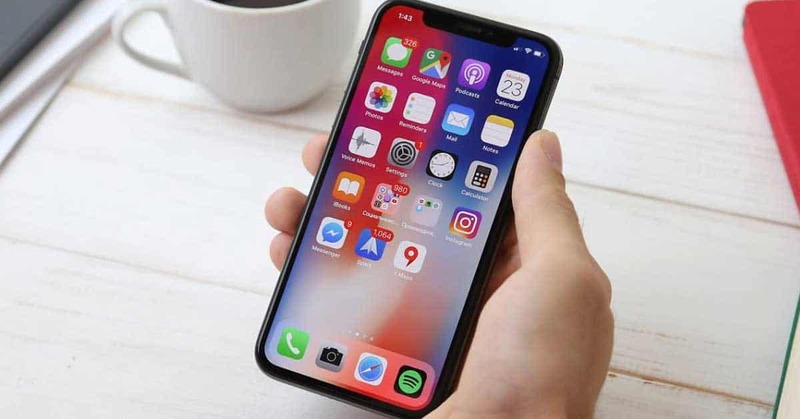 For instance, the objective for a gaming app would be the user opening the app on a daily basis, while for a fashion wear and e-commerce site it would be the user visiting frequently and making purchases. Overall, since the user behaviour is unique to each different category and objective, so is the importance to look at retention metrics differently. N-day retention – Users are active on a particular day after installing the app. It is the same as classic retention. 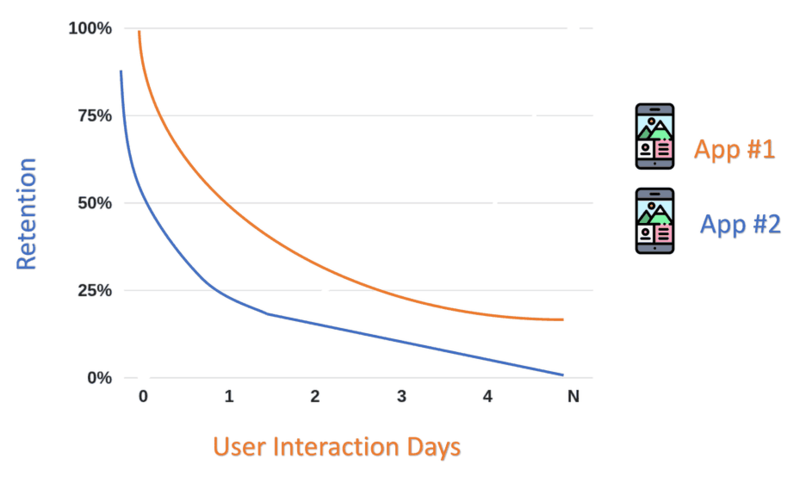 Un-bounded retention – Users are active on a particular day or after that day. Sometimes also referred as rolling retention. Bracket retention – users are active within a particular time period. Retention curve serves as reference to track your increases or decreases in retention. Here is the target that should be achieved. Curve flattening: After some time, the curve should start to flatten. If it does not flatten it implies the acquired users are not returning to the app. In the figure above, App1 doesn’t flatten while App 2 starts to flatten just after a few days. So, for App1, product preposition should be rethought before continuing User Acquisition. Evaluate the user acquisition sources and focus more on sources that have higher retention rates. Assist new users to follow the path that your retained users have taken so that you are able to retain more new users. The following sections explain this process in more detail. Once you know your retention curve, you can divide your users based on customer journey so that you can target them at each stage of their user life cycle. This helps to identify what users are doing to reach the next stage and replicate the same for new user. Before we get into dividing the users on this basis, you should identify which is the most valuable, and the time it takes for 80% of different users to repeat their cycle. This time period is referred to as product usage interval. Now that you know your product usage interval, here is how you can divide the users. After dividing users, target users at each level. Look for behavioural patterns and build user personas. For example, the following are persona’s for active users for YouTube. Investigate each persona to understand what triggers them to move onto the next stage of user life. New user analysis is critical to move the retention curve up and even 2-3% improvement in new retention results in incremental growth. For a current user it can be based on the frequency of performing a critical event. Similarly, product behaviour cohorts can be created to help users achieve behaviour that increase retention. Critical path funnel for identifying drop off points. Make a critical path funnel by identifying the sequence of steps the user takes to complete your critical event. Check in funnel points where users are dropping and then analyze reasons for drop & improve that step in order to increase your conversions. Retention is a continuous process of experimenting and measuring KPI’s against previous performance. 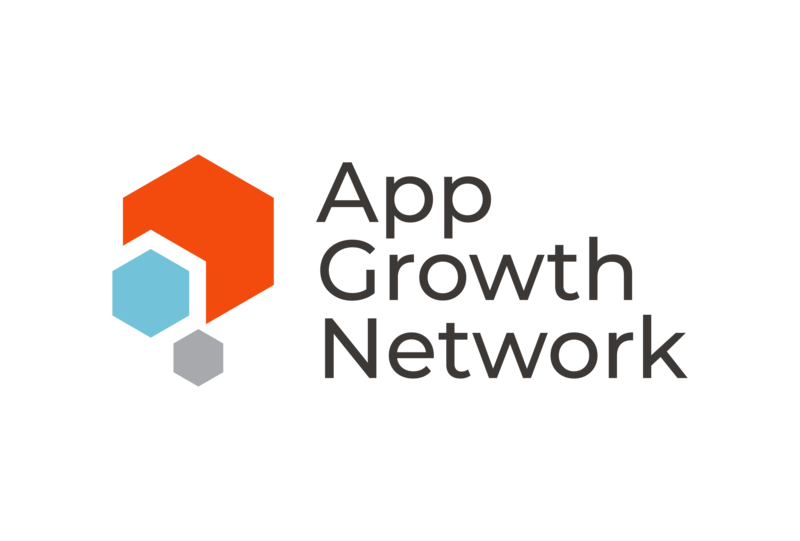 Gopika is a Growth Marketing and Analytics specialist at App Growth Network.